Do you know how many hours an average person use their mobile a month? 87 hours a month, according to the experts at the Flurry Analytics. That’s about 90% of time spent using apps on mobile phones. If people are spending that many hours using their mobile apps, then, why aren’t you making profits? There are many ways you can make revenues from your apps (as we’ll discuss later in this blog post). But, here’s ONE harsh truth: when it comes to making a LOT of cash through mobile apps, top 10% of apps in any market makes 90% of profits from all app installs. But what if your app does not belong to that lucky 10% group? How can you make profits from your app? The answer is simple: monetization! 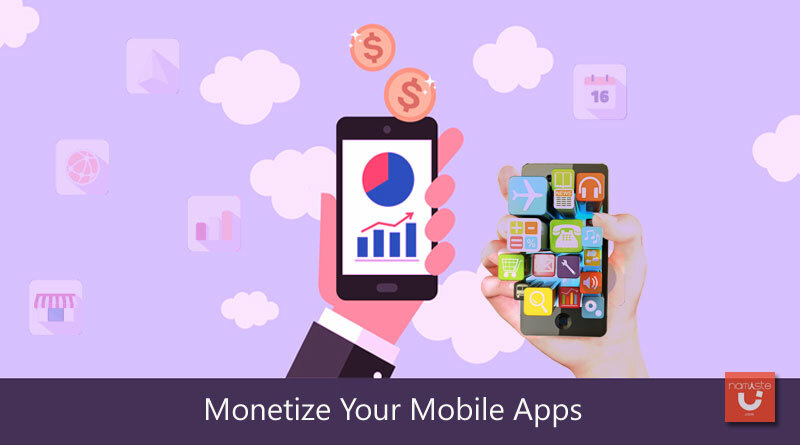 Monetizing your mobile app is a LOT easier (and simpler) than you might have imagined. There are a handful of services you can run into your app to improve your earnings, such as in-app purchases, ads, freemiums, and subscriptions, etc. The most famous way to make profits from your mobile apps is in-app advertising. This simple app monetization method allows users to use your app(s) for FREE, while quietly generating revenues for you, and your business. ‘In-app advertising’ has many different formats – native, banner, video, interstitial, app wall, etc. – and are really, really popular for gaming and messengers apps. And, the ad type you place on your app is very crucial, too. To find which one works best, you can perform an A/B testing. Remember this: your ads must NOT be distracting… or annoying to your users. Why? Because if your app users find your ads too intrusive, you might risk losing them. Freemium is a simple concept where you let your app users use its essential features (or functions) for free. It gives your app users an overall picture of what the app is all about, while also restricts its FULL potential. In that sense, ‘freemium apps’ often bring profits for app developers. Here’s how: if your app users want to access additional features of your app… they’ll pay for it. As a result, they’ll then enjoy a better user experience and enhanced functionality. But, remember this: the freemium model, just like everything else in the world, has its own set of advantages and disadvantages. The advantage is that each user has a choice to upgrade to a ‘premium’ offer. On the flip side, many app users often end up using the LIMITED version of the app. Premium apps (or “paid apps”) are NOT free to use. Users purchase it, from an app store, for a fee. The fee is for the download, and everything else – content and further use. Just like in direct sales. But, you might ask: if there are soooooo many freemium apps in the market, why purchase anything? Here’s another exciting way to monetize your apps: develop simple, unique, and reusable apps. 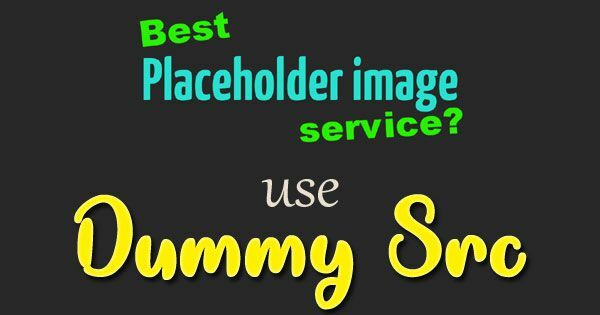 The answer is incredibly simple: you hold copyrights to app templates to make profits. So, what you should do is ‘customize’ your basic (and universal)app to the particular needs of your customer, so that they can get the “branded” software, quickly and inexpensively. “Customization” might affect the front-end design, referred as the White Label Solution. For example, an accounting app for a health fitness club can be customized into a corporate-style of a specific club. The changes could be as simple as changing the text color, background color (or images), or changing the look and feel of the interface, and the emblems, etc. Did you get the picture? In IT field, these types of customization are prevalent. For businesses, customization is practical and profitable, as they can make profits without having to allocate budget for marketing. And, if you are an app developer, you can charge a fee per copy of a product. New, and unique information is often valuable, particularly for companies thinking about crushing their competitions. So, if the “main purpose” of your app is collecting new data from users… then, why not make money out of it, right? You can see this method of making money in action in your daily life: apps collecting user data through questionnaires, for example. This new (and unique) data can then be sold for a fee… to companies that need it. Take Google Maps API for example: If you get more than 25,000 hits a day, then you’ll pay $4 to Google. Until now, many people believed that “open source applications,” such as Linux applications or Apache Web Server – can only be developed by large companies. This method, although it might look unprofitable at first, can SKYROCKET sales of future (commercial) products. After all, open source is trusted by most people (including your customers) as it comes with already established “good reputation,” making it an excellent advertising tool for your mobile apps. That means, if you have “great ideas” for apps with open source code, it can eliminate the need for you to pay for advertising for other apps you might make in the future, too. Furthermore, such open source apps will help you market third-party businesses, too. For instance: offline service, or a chain store, etc. Although you won’t make any income through this method, you’ll, however, save a significant amount of your hard-earned money from costs related to advertising. Here’s another smart (and non-intrusive) way of making the customer lifetime cycle longer: asking your users for their mobile numbers upon install. Did you know that 82% of people open every SMS text message, according to a SHIFT Communications’ survey? That means getting in front of a large number of people (your potential customers) is relatively easy these days! That’s why SMS marketing is one of the easiest (and the quickest) ways to spread the message about your “new” products and services that you may have recently added to your app. A “comatose” user might just be looking for a gentle push to re-install or begin using your app again. Sponsorships are still a “new” monetization concept. And, unless and until you have a large user base, it’s NOT worth going after sponsorship route. Similar to social media, you can use your app to build sponsorships partnerships with businesses. And, when these brands will notice the user engagement you have, they might be more interested in advertising in your app. With more than 45 million users, Runkeeper is an excellent example of how sponsorship can bring ‘moolah’ for you and your business. When users reach particular milestones, they get “private” rewards through sponsors: running 10 KM in a specific amount of time, for instance. And, if your app becomes popular, you may find yourself negotiating a deal-of-the-year with one of your sponsors. That’s what happened with RunKeeper: Asics – a running shoes company- bought Runkeeper in 2016. Building email list is a proven method of monetizing a website, and it can be quite profitable for mobile apps, too. Similar to SMS marketing, you’ll gather emails from users upon app install. And, this strategy often works wonders for freemiums (free apps). Once you’ve gathered an extensive list of email subscribers, you can send them useful newsletters, highlighting your upcoming products, services, updates… and even “exclusive” offer to boost in-app purchases. In marketing, “word of mouth” goes a loooooong way. After making a purchase, happy (or not so happy) customers often like to share their experience with others. People read other users are saying (both positive or bad) about a product or a service… as a reason to make a purchase. If the product, or the service, has positive reviews, they instantly believe that a particular product must be really good… and buy it. So, let’s just say, you managed to build an app that WOWS your app users. With sudden flood of positive feedbacks, the chances are that… your app will boost in ratings. And, here’s an awful truth: negative reviews travel faster than a speed of sound… than positive rumors. According to a study, an average piss-poor customer is more likely to inform 11 other people how horrible their experience with a brand. Having said that, what you need is build a solid referral campaign… mainly if you want to SKYROCKET your app usage. Here’s a simple secret of converting new app installs into long-lasting users: there’s NO magic pill! But, before I lose you, read this: publish high-quality (useful, relevant, and highly engaging) content on your app, regularly… to get them excited about your brand, products, and services, every time they visit your app. What will happen after doing this will jolt you. Even those users who have NEVER bought anything from you in the past might get excited to see what’s the whole “fuss” is all about. But here’s what you need to remember: To make this monetization WORK, you’ll need to publish content that is worth paying dollars for. First, you let your app users enjoy “limited” content (or features)… for free. Secondly, like a smart marketer, you offer them additional value, by giving them “exclusive” access to all the content (or features) – for a specific fee. By doing this, over time, you’ll quickly figure out the type of content you should produce (or features you should roll out) in the future to make additional bucks. Making money through ‘crowdfunding’ is NOT an old concept. Many people consider crowdfunding as a source of income, and to develop and launch an app. But, in reality, there’s MORE to crowdfunding than simply their monetary goals. Consider ParcelGenie, for example: They made a whopping 2.6 million in profits on Angels Den – a crowdfunding platform – within a year. Besides generating revenues, crowdfunding can also help you build a user base, even before your app is available to the market. With all those “in-built” users already available to you, all that is left for you to do is to create a monetization strategy to generate cash from that audience. Here’s another smart way to monetize your app: offer in-app currency. This making money off apps strategy works wonderfully with casino and gaming apps. For this strategy to work, you’ll have to make your offers attractive. For example, offering a single game package of, let’s say, 100 coins at $49 could mean losing money on the table. However, if you offer your users different packages (50 coins at $39, 100 coins at $49, 150 coins at $69), you give them options, which might in return, entice them to spend more over the customer lifetime cycle. Unless you have a monthly recurring revenue (MRR) set up into your business model, you won’t have stable and predictable future. There will be a LOT of good and bads months ahead. With erratic revenue, business growth can take a rapid nosedive, and it can be seriously challenging. However, a subscription-based model can save your day. Your income will be stable (and predictable). Your app users only need to enter their credit card details once, and they’ll continue to pour in money into your funds… until they decide to cancel. Making use of advertising services to monetize your apps is NOT a “new” concept. In fact, it’s the most widely used, and in many ways, the most beneficial. This strategy works best for those who offer ‘free’ mobile apps. And, they act just like Google Adsense does on your website. The secret to making profits through this simple monetization technique is to build a strong user base, who’ll in return engage with those ads while they’re in-app. And, here’s a dirty little secret to boosting your profits… if you have a large user base: segment your ads (show relevant and specific ads to a particular group). There are various types of in-app available for most apps, including banner ads, interstitial ads, native ads, video ads, text ads, etc. But, which ad types are best for you? According to Myk Pono, video ads are most appealing with an eCPM of $3.08, followed by Interstitial ads with an eCPM of $1.08 on average. On the other hand, banners ads have an average eCPM of $0.25. And, according to AdTapsy, AdMob is the best monetization ad service for apps, with an eCPM of nearly $4.50. Well, when it comes to making money via apps, no single formula fits all solution. Why? Because every app is different. That’s why it’s super critical to choose (and stick) to a strategy that is suitable for your apps and aligns superbly with your business goals. The opposite is entirely true: a ‘wrong’ monetization strategy can also make or break your business. So, take a step back and think hard… and employ any one of the strategies (listed above) to double (or even triple) revenue from your app.